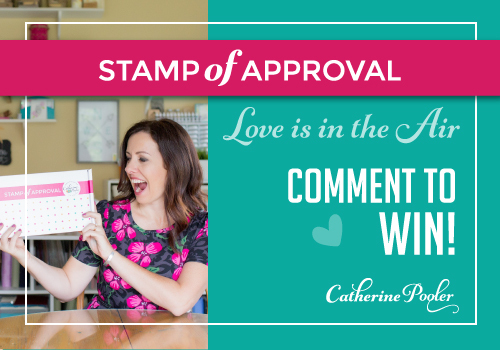 Welcome to Day 1 of the Love is in the Air Stamp of Approval Blog Hop! 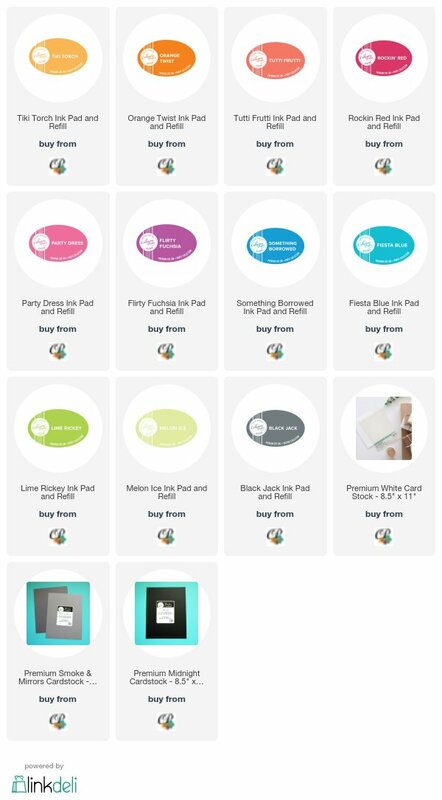 This Collection is full of products that you can use to make cards for Valentine's Day, weddings, anniversaries and for other occasions throughout the year! 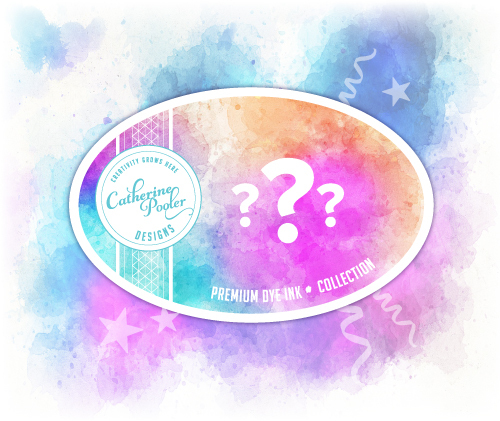 And included in this collection is a NEW Mystery Ink that I've used in all my projects below! You should have come from Karen's blog (full blog list below with details about how to win your Love is in the Air Stamp of ApprovalCollection!). If you are a StampNation member, you get access to order starting on Monday, January 8th at 10 pm. Not a StampNation member? Make sure you are on the wait list so you get access to the collection at 9 am Tuesday, January 9th before the public (at 6 pm). These collections always sell quickly (and often sell out! ), so if you're liking what you're seeing on the blog hop, you'll want to ensure that you have an opportunity to get your hands on this collection! Now, let's get on with my projects! I used a number of stamps from 3 different sets to make a post-card full of love. The hand-lettered feel of the various sentiments really lends an authentic feel to it. The Postage Stamp Dies include a couple of stitched rectangles, and the smallest Postage Stamp die is (of course!) perfect as a stamp! I used one edge of the largest Postage Stamp die to create a fun, bumpy border that these rainbow hearts nestle right into! These inks are so luscious and vibrant that I absolutely love using as many as I can to make a rainbow! I inlaid the love die. I used the little geo tag stamp and die to create a frame for the Love banner (which is designed to fit on the hot air balloon stamp included in the set). Be sure to visit Catherine's blog to see all the products in detail. There are two more days of blog hops before the collection will be released on Tuesday, January 9. And you can win your box by commenting on the stops on the hops! One winner will be chosen at random from each day's comments and announced on January 10 on Catherine's blog. The winners will win their box and if they already bought it, they will be issued a Gift Certificate worth $100 towards a future purchase. Here's the full blog list in case you missed any! Ardyth Percy-Robb <<< You are here! The postcard look is really neat! Rainbow Love is really gorgeous. Simplicity can be lovely! Thanks so much for the examples. The gray backdrop against your rainbow colors is uplifting. Makes such a nice statement. Ardyth, your creativity is never ending! I love how you stamped those tiny hearts along the edge of the postage stamp bumps!! These designs are great Ardyth, super creative! I think my favourite one is the 3rd one, it is super cute! Got to love the Rainbow hearts on your second card awesome. Your postcard is amazing and really like the colours you have chosen. Sure can see so many ideals with this collection thank you for sharing. Such fun cards! Thank you for the inspiration! That pink and gray card is adorable. It's my first time here and I'm excited to check out your blog. Great cards Ardyth! I love how you put together the post card - it's perfect! Wonderful cards, Ardyth! I particularly like the rainbow hearts and the way you've used the geotag stamp and die. The colors against the black are just so awesome!! I just love this color scheme!! These are beautiful! I'm guessing the new ink color is in the red/pink family...not even going to try to guess the name! CP always comes up with the BEST names for her inks! Can't wait to get my box! I like the postcard look. I am a Stamp Junkie and think the new color is a pinkish-purple color. Your cards are fabulous! All three are different, yet they have the same classy feel to them. I love your cards, especially the post card. Great idea. I'm a stamp junkie and I think the new ink color is magical purple. Love the cards. The heart border is fantastic. Great inspiration! LOVE the angle love card!! I love your postcard and your cards are so beautiful!! I am a Stamp Junkie! 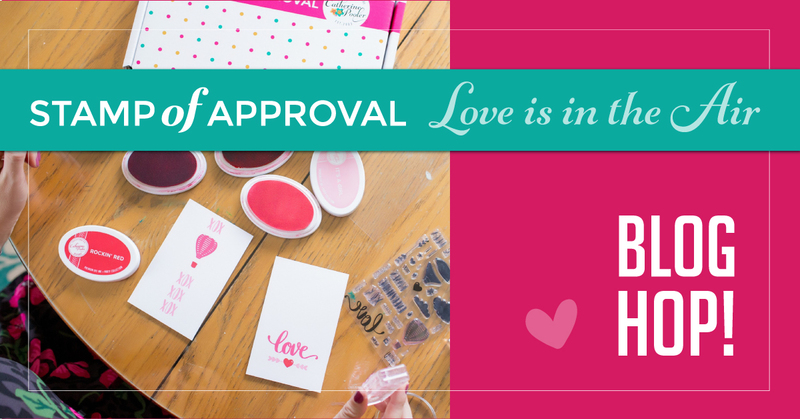 Love, love, love the SOA stamp collection and dies and inks and blocks! Can’t wait to see the new ink colors! That postcard is adorable and love how you used the rainbow! Once again the Stamp of Approval versatility shines in your mix/match of the various dies! Love your cards and this new SOA Box. Great ideas! Love what you did with the postage stamp die!!! I’m a Stamp Junkie and I think the new ink color is a rosy pink shade. Your cards are beautiful and I can’t wait to get a kit and see what I can create. Love the postcard card. I can't wait for this collected be in my hands. I love the post card ! All cards are outstanding! Love your cards always. My fave is rainbow hearts. Love your cards! It's so fun to see all the different ideas from the creative team. Very clean and graphic card designs, love them! Your cards are breathtaking. This collection is what I was hoping for and more. It’s one of my favorite thus far. I can’t wait to get my hands on these goodies. All of this and a new ink color, Wow. What a creative way to use the postage stamp die. All of your cards are beautiful, but I really love that second Love card! Awesome cards!! Especially the middle card...how creative to stamp those hearts in each bump of the postage cut!! Would have never thought of that myself!! Love your cards! My favorite is the rainbow love. Great cards. Love the rainbow hearts. a favorite. I'd CASE any one of these beauties. Ack! These are all gorgeous, Ardyth! I think my favorite is the bumpy border with the hearts! You are such a great addition to the SN creative team! I love your unique designs! I love all of your cards! Can't wait to see what's next! Ardyth!!! You're a card making genius! That postcard front is fantastic! You really did a beautiful job with this collection. LOVE! I am in LOVE with your card that looks like a post card!!!!! Very clever cards. Love your creativity with the new stamps! OMG...your creativity is astounding! I especially love the second card. How did you ever come up with that idea?!!! I love the second card! I'm a Stamp Junkie. I thought the new color was going to be yellow but apparently it is a hot pink. Wowsers... You are simply the best at thinking outside the box, or in this case, the postage-edge die. Who would have thought those sweet hearts would fit so well??!! And I'm calling the new mystery ink colour "bubble-gum" to myself, although it probably has more of a spa-like name, for reals. Thanks for explaining where the love-die comes from--I noticed it in a few other team-members cards. The peacock tails remind me of the old NBC icon. Super cute! Fabulous cards! I love how you used the heart in the postage die border! How creative are you! Love the postcard idea on the first one and the border on your second one! Peacock tail was so neat! Love your beautiful cards! Thanks for sharing your inspiration. Great cards! I just love this SOA kit, I can't wait for it to become available. Absolutely amazing, Adryth!! The second card with the hearts tucked into the postage stamp die border? Pure genius!! HI, I’m new to your blog from Stamp Junkies. I absolutely love the way you’ve put the hearts up the side of your card. No way! I love the ingenuity of the postage stamp die and the hearts. You are a master! love The rainbow affect that you created on your cards. My goodness! All of these cards are great!! Wow! Fantastic cards! Such a cute postcard! LOVE! that second card with the hearts down the right is AMAZING!!! All of your cards are fantastic, Ardyth! The Postcard card is just perfect for Valentine's Day. I love the multi colored hearts card and could be used for any happy occasion. The Peacock card is cute and I could see making it almost exactly like you have! What a fun group of cards! Love your second card with the staggered hearts...great design! Great cards! Love the rainbow! Beautiful designs, love this collection. It is a must have for me. Love these I especially love the first card with the simplicity of the black and pink. Looks like a lovely colour!! Although rainbows always make me smile too. Fab cards tfs. I am a stamp junkie and I believe the new colour will be white. I just love the versatility of this collection. Love how you've used the stamps! Very pretty cards, lots of inspiration! The Peacock Love is everything!! Great job!! And they look easy enough for me to achieve! Sooooooo CUTE! Love, love, love these stamps and dies. I love, love, love all of these cards. I swear I have a separate library just of your designs as I'm just crazy about them and use them as inspiration. This CP collection is amazing. Thank you for sharing. Love how you see the elements used in such different ways...each for a unique look. Thanks! Thanks for sharing - I love the rainbow hearts! I am obsessed with that second card! Such a creative alternative to a standard card format! I love the postcard card.....I love all the pink it is so cute!!!!! I adore the postcard card you made! So cute and clever! Awesome cards..the post card look is great but I think my favorite is how you made the heart border. Beautiful cards!! I love the postcard design!!! AWSOME CARDS! So creative, bright & colorful. Love the idea of using the postage die to cut that angle & then stamp the hearts. My favorite card. Great job. Ardyth, you just have the best ideas. Love the "Rainbow Love"! What wonderful cards! I'm so excited for this box!! Amazing how you thought outside the box to create the rainbow hearts card. You are so creative. Brilliant use of the postage die! Love those diagonal rainbow hearts! I’m a Stamp Junkie and I think the new colour is Passionate Pink. I absolutely love the doodle style of these stamps! I am a rainbow girl, love how you use all the colours on your cards. Can’t wait for release! Gorgeous cards and such a clever way to use the edge of that die to save on fussy cutting those adorable hearts out. Love them all but Rainbow Love is simple yet has an impact! The colours are fabulous! ! I am loving the post card looking one! Such a simple way to send a reminder of love! SUper cute - I really like the gray background - makes the colors pop! I’m a Stamp Junkie and I after this blog think the new color is maybe Funky Fuschia! Great cards. They're all so different. Can't wait to get this collection. Oh..the die and the hearts...love this inspiration!!! Wonderful designs! Love the postcard, the rainbow of hearts, and the paacock. Thanks for the inspiration. Wow! What a great idea you had for doing the heart border!! I never would have thought of that! I love your use of all those colors!! So many ideas so little time. Hi Ardyth. I'm a Stamp Nation member. I just love all of your cards, they are just awesome. I think my favorite is the one with the rainbow hearts. What awesome cards, just love the colors, so bright and cheery. Thanks for sharing. Great pop of color, love all the designs! I love the postcard card! so creative TFS! Great color choice! Love your cards, they are all beautiful! Love the fonts in this collection. Glad to see you ladies still rocking it out in 2018! The postcard hearts is so amazing!! Everyone has been so inspired with this collection!! Hi Ardyth, I am a new visitor to your blog. What a nice welcome in the form of a very pretty Love card! I will return, but now off to hop! I love the acronym of your names as your blog name. So cool!!! I Love your designs and oh so full of colors. I love the CAS of black and white cards with a pop of color. Just lovely. Happy New Year! I adore your cards! They're SO cute! I love how clean the card is and so beautiful!! Stinking cute cards. I just love the first one. The vintage postcard style is fabulous. I love the way you used the stamp die with the hearts down the side. All of your card ideas are wonderful! I can’t wait to try them. Oh My Goodness....Your creations are totally fabulous!!!! Your cards are adorable. Very clever. I love the ink colors. So much inspiration from your cards! They are all great, but I really like the one that looks like a postcard. Great work. Using the postage stamp die for the little hearts was quite clever! I love that card. I love how you made the card look like a postcard. I just love anything postage looking! Thanks for the inspiration! Super cute ideas! Loving the reveals! That postcard one is so cool! Great ideas. Love the cards, especially the postcard look! I'm really digging rainbow cards lately so your rainbow love card is definately my favorite! Those tiny hearts to die for! I'm a SN member and have been thrilled about the SOA release. So very creative. Love the angled heart card. Great way to use that die. I love your LOVE card. The way you used the long side of the postage stamp die to get the heart border is great. Thanks for the incentive. These stamps and dies are so great together. Thanks for your examples of how they can be used. And thanks for NOT having an embedded comment box. Yours is the first blog, besides Catherine's, that I could say KUDOS on your cards! I like the rainbow love card the black cardstock sets of the colors great. I love your cards. I really like the way you added the hearts down the side of the die cut. Love what you have done with this kit! How fun is that!!! Great cards! Love how you used the postage stamp die to create the border! What a clever idea! Love your awesome cards. Very ingenious. Cute, fun cards! Love those little colorful hearts! I love the postcard. It looks so real. But I also love the rainbow hearts. They are so colorful and I would never in a million years have thought of that. Love these cards! My favorite is the one with the heart border. I love the card you made that has the hearts as a front border on the front of the card! Very different and nice! Thanks for sharing and have a great weekend. First time with you all. It feels quite exciting. Can't wait to see the whole thing. Since I send a themed card to all of my family members every month, I can see the potential for using your "snail mail" card. Oh the CAS & colour & angle of the rainbow love card has captured my heart! All three of your cards are great. I love how you used the largest Postage Stamp die to create the perfect border for the rainbow of hearts. And, thanks for the sneak peek of the NEW Mystery Ink. OMG!! These are awesome - - can't wait to play!! soooo very cute...winning this would be the greatest start to a New Year! Love the rainbow love card, great colors and contrast. Love your cards! The use of the postage stamp die as a border for the hearts...ingenious! The new mystery ink color looks great with the smoke card stock. The cards are so pretty! Love you style, and thank you for sharing your talent. I love the card with the hearts nestled in the stamp die! Never would have thought of that! Thanks! Awesome trio of cards! The rainbow love is so striking and the postcard is really cute! Love your ideas! The peacock love card is my favorite. Can't wait to play around with this set. Creative use of elements of the sets. Rainbow hearts edge is great. Beautiful colors! Love the creativity! Omgeeeee! That card you used with the postage stamp die and the hearts!!!!! wow, very smart way to use the Postage stamp die, love it. I can't even with these! My favorites so far! I love the rainbow heart edge card. It is so simple, but beautiful. Love the idea of a postcard. Great idea for Valentines day. Cost effective when postage is so expensive. Thanks for great ideas. You're heart border idea is so clever! Thanks for sharing! How clever to use the die for the rainbow hearts border. Great card. I've recently discovered the inks as well and have just a few to enjoy right now. I like all of your cards, but my FAVE is Rainbow love. The design is elegant and classy! Bravo! Gorgeous and bright. Can't wait too get this set. Ardyth, My favorite of your samples is the love with rainbow heart border! I especially like the postcard as well. You are amazingly talented! GREAT cards, love the heart border and postcard! You are always so creative! Absolutely love the card that looks like an envelope to be mailed!! Super cute! Love the rainbow hearts card! Would never of thought of using the die that way. Thanks for teaching me something new! Very creative cards I love how clean they are!!! You really have given me a new way to look at things! Sending Love Postcard is fabs! Great authentic design of a almost forgotten vacation snail mail favorite! Wow Ardyth, such creative cards. I love them all! You have a unique style and think outside the box! I love it!!! Your cards are so incredible! Especially love the black and rainbow hearts! Very clever! I'm a Stamp Nation member who would love to win this SOA! Such lovely, bright and cheerful cards! The postage dies look really useful. Great idea for using the bumpy edge for the Rainbow Love card and then adding the hearts. I am a StampNation member and my favourite product in this SOA is the postage stamp die set. I am also very excited about getting a new ink colour for my collection. I really like the creative way you used the postage stamp did to make the border- so inspiring!